Much of pre-production for me had to do with trying to figure out what Ragbrai is so that I could make sure that we had all the right people, equipment and resources to capture it. What I finally came to was that it was okay for there to be a mystery… and at the same time, I would have to theorize what made Ragbrai so meaningful, bounce this theory off of past participants, refine the theory then plan according to the theory that rang true. What I decided was that Ragbrai was an alchemical experience. 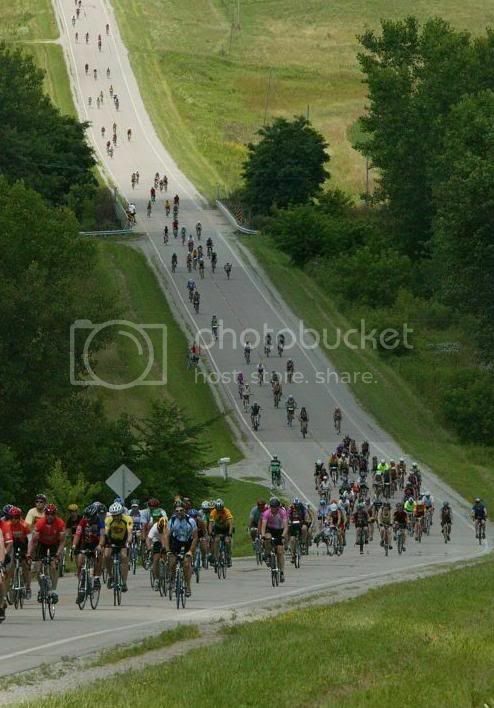 What I meant by that was that it was the combination of the riders from around the world, the welcoming and trustful host towns, the Iowa landscapes and the common interest that bonds all the participants–bike riding! Based on this assertion, I decided after conversations with Steve Cambell our head DP, that we needed three complete camera/sound units: two units would be Micro (small picture) B-cam to capture the riders “in process”, C-cam to capture the riders, their thoughts and perceptions via interviews, converstations etc, and one unit for the Macro perspective (big picture) A-cam to capture the “ride” and the towns. I decided to take this Macro, Micro approach even further, to get even more intimate with our subjects. So we purchased three HD consumer cameras that we planned to give our subjects so that they could make personal documentations of their journey which we could then integrate into the movie. Finally, we wanted to get a POV feel of the ride, so we rented some lipstick cameras with plans to mount them on bike handles, bike helmets, etc. Ultimately, we ended up with 9 working cameras all focusing on different elements of the ride and three great Cinematographers: A-cam: Stephen Cambell, B-cam Mario Signore & C-cam: Daron Keet. They worked there asses off and I most appreciative of their contributions!